Aucklander Margaret Stevenson is shown here, probably in the 1930s. She was the first New Zealand Bahá'i, and for 10 years from 1912, the only one. When the first New Zealand Bahá'i group formed in 1924, Stevenson was elected its president. Her two sisters also joined the faith. 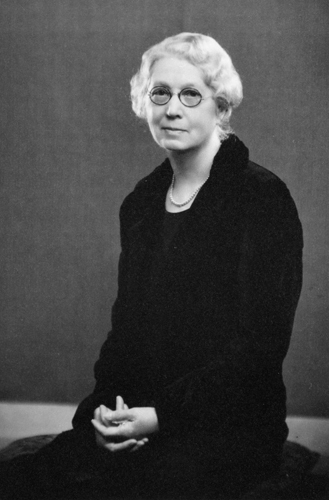 Stevenson remained secretary of the Bahá'i Spiritual Assembly in New Zealand until her death in 1941.